This hybrid Phlox forms a low, mounding habit of magenta pink, star-shaped flowers. 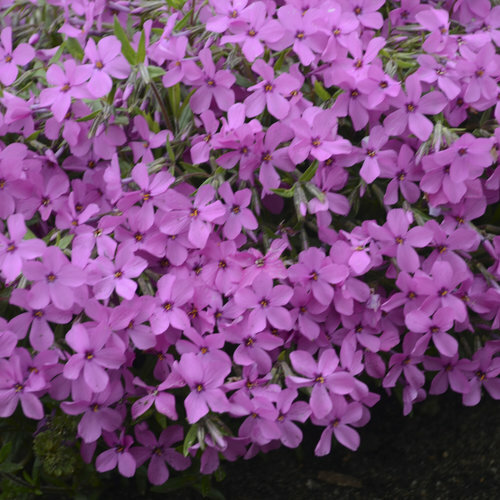 It blooms about a week or so after Phlox subulata and does not spread aggressively. 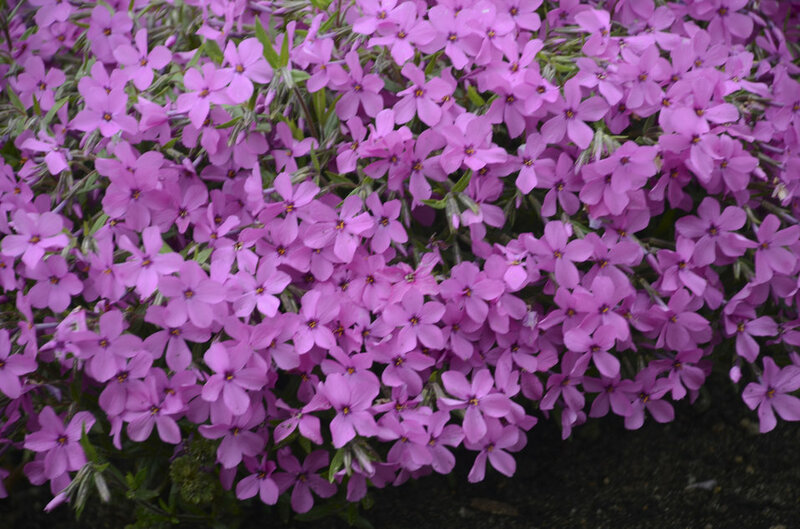 Gritty, slightly alkaline soils are preferred and good drainage is essential. 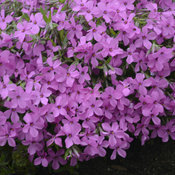 This type tolerates more shade than other Phlox, but still grows best in full sun.